Hi, my name is Curt Radford. I'm Deaf, I'm a teacher and I like to have FUN! I've been passionately involved in Deaf Education for almost 15 years and like you, I love to teach but more importantly, I love it when my students actually learn. Over the years I've noticed my students are able to retain more if they are having fun while they learn, that's why I strongly encourage the use of these games when teaching American Sign Language. One of the greatest and simplest tools for learning more and growing... is doing more. It is especially fun to learn ASL when you use fun games and interactive teaching methods to teach, review and fine-tune it's fundimental rules and concepts. 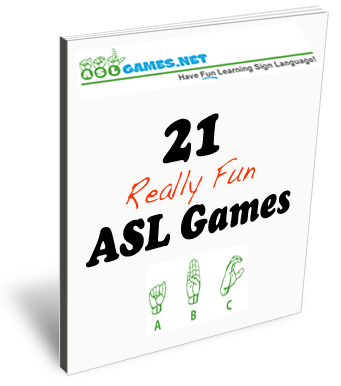 The games that you'll find in this 21 "Really Fun" ASL Games eBook are not only fun, they are also very helpful tools as well. 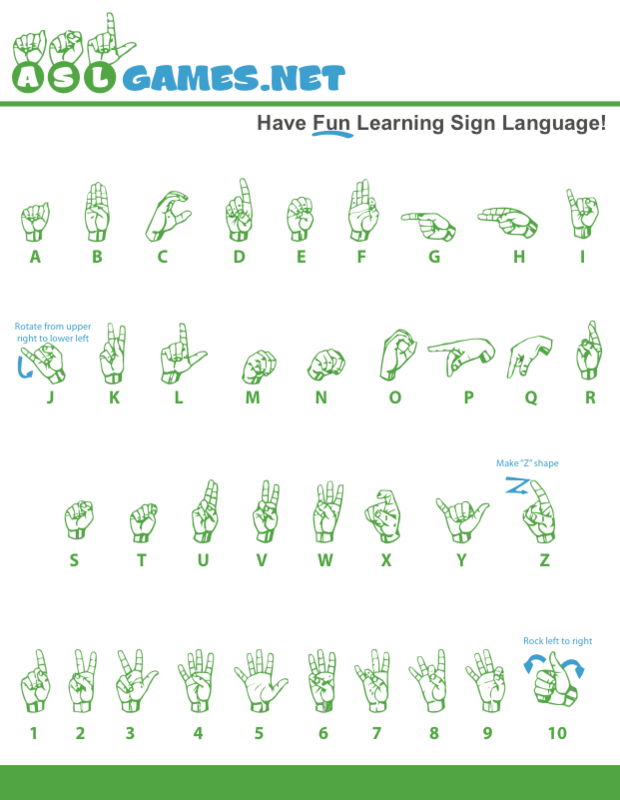 ASL games stimulate the brain in more ways than basic instruction can, this allows your students to increase comprehension and memorization of the signs and concepts being taught. The American Sign Language games found in this ebook can also be used to fine-tune necessary signing skills and to improve finger spelling, facial expressions, classifiers and more. If you're students are snoozing, they're not learning! Over the years I have personally taught in various settings including college, high school elementary, church and even at home with my 4 children, and I've noticed in all these different enviroments that all students are people, and people like to have fun. So, it doesn't matter whether you're teaching a college level 202 class, a high school introductory course or a free church class, your students will greatly benefit from using these games during your lessons - And they'll Thank You for it. Use these fun, interactive, stimulating games to keep your students attention and increase their learning experience (oh, and you'll enjoy it too). eBook Includes All Of These Totally Fun ASL Games !!! 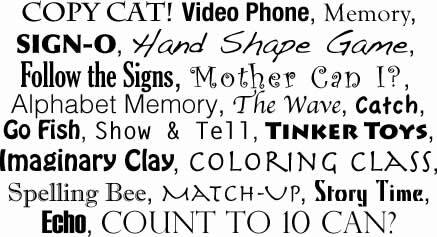 You (and your class) will enjoy playing the twenty-one fun and interactive ASL games compiled here - I Guarantee It! As you may know, most providers of digital products do not offer a money-back guarantee, since there's no tangible product to return. I'm different because I want you to be 100% satisfied. If you're not, just let us know, within 30 days that you're not happy and I'll personally issue a full refund. And... you can keep the original items, too! Fair enough? Copyright © 2011 - 2012 ASLGames.Net All Rights Reserved.